Split your donation between CMNH and CHF. Your name goes in TWICE each month for 1 of 4 gift cards. 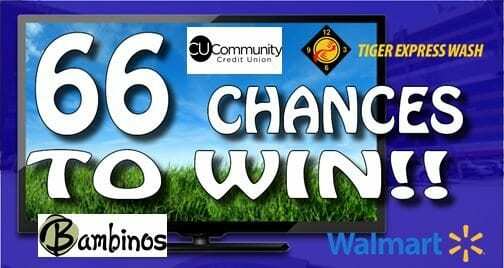 Monthly Prizes include $50 gift cards from each of the following: Wal-Mart, Bambino’s Cafe, Tiger Express Car Wash, and CU Community Credit Union Visa Gift Card. Winners will be notified electronically within 48 hours and announced on Cox Connect.